One of our grandchildren had her eighth birthday party last weekend. The party room was filled with balloons: dominated by two large ones. They were a huge figure 8 and a unicorn. “Why the unicorn?” I asked her mother. “No particular reason: they just seem to be popular with children of her age” she replied. Funnily enough, this reminded me of something. Both Labour and the Tories are split over what to do about the result of the 2016 referendum. But their approaches to the problem seem very different. Labour, and again at its Party Conference this week, seem to be engaged in an intelligent, nuanced discussion which directly addresses the tension between taking a principled approach – in the national interest – and an opportunist one – to take a narrow view in the interest of the Party. Discussion, for the most part, is civilised and evidence-based. The Tories, by contrast, are tearing themselves apart on waves of an emotional, irrational shouting match. The lunatic fringe, variously called (by me) the Crazies and Dunces, abandoned reason long ago. Theresa May remains trapped by Parliamentary arithmetic and is being held to ransom by this insane bunch. How this chasm will play out at the Tory Party Conference next week, we shall just have to wait and see. Like peering in on a kindergarten, I expect. It is clear that public opinion is swinging steadily behind the Labour position. Policies that were vilified as extreme left-wing ideas a few months ago are quickly becoming the new centre ground. People are tired of austerity and are finally seeing that this policy was a political choice and not a necessity, as previously asserted by Osborne and co. Corbyn’s Labour has captured the zeitgeist and giving hope to the 48% of us who voted Remain. 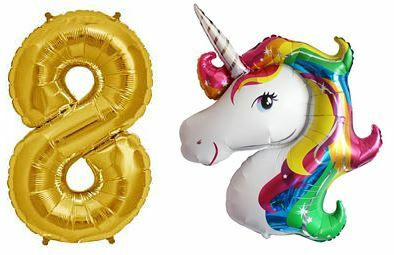 So what’s the connection between the politics, unicorns and my granddaughter’s birthday party? Shadow Foreign Secretary Emily Thornberry said earlier this week: “…we need to extend Article 50 and essentially turn up in Europe and say the grown-ups have turned up now, let’s sit down and talk’.” Labour is speaking like a group of grown-ups with the Tories like a bunch of noisy eight year-olds. It’s time we gave a chance to the grown-ups to run the country before it’s too late, to avert the damage inflicted by May’s mishandling of the EU negotiations. And no more need for talk about unicorns.